황할한 농촌에 이런 컨테이너 하나 가지고 귀농 어떠세요? 맘에 안들면 다른곳으로 옮기면 되고?!?!?! 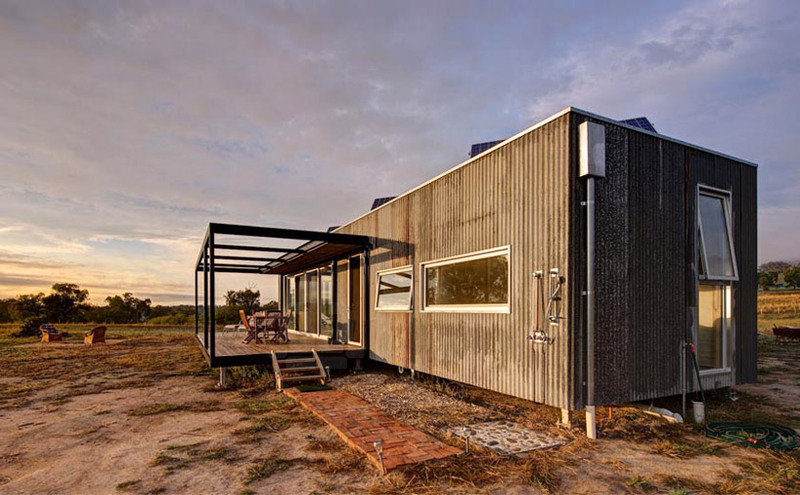 situated on the southern banks of the murray river in victoria, australia, an autonomous retreat exists completely off-grid. 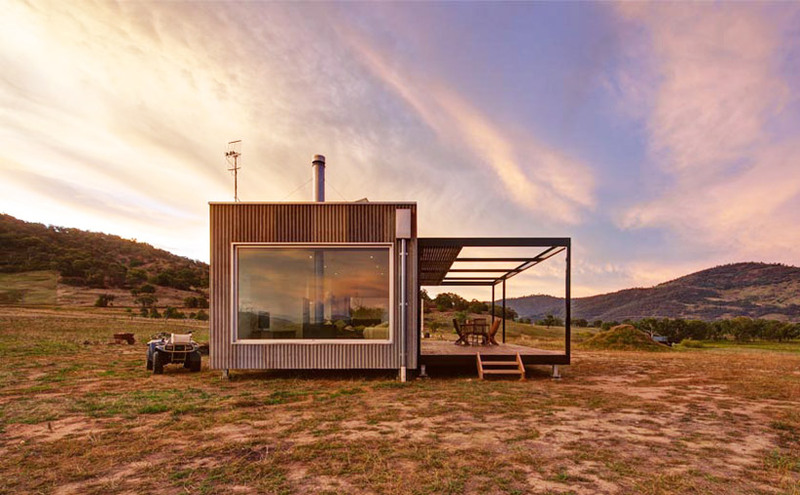 designed by modscape, a studio who specialize in modular and prefabricated architecture, the dwelling serves as a reclusive and intimate base for a client who spends a lot of time overseas. 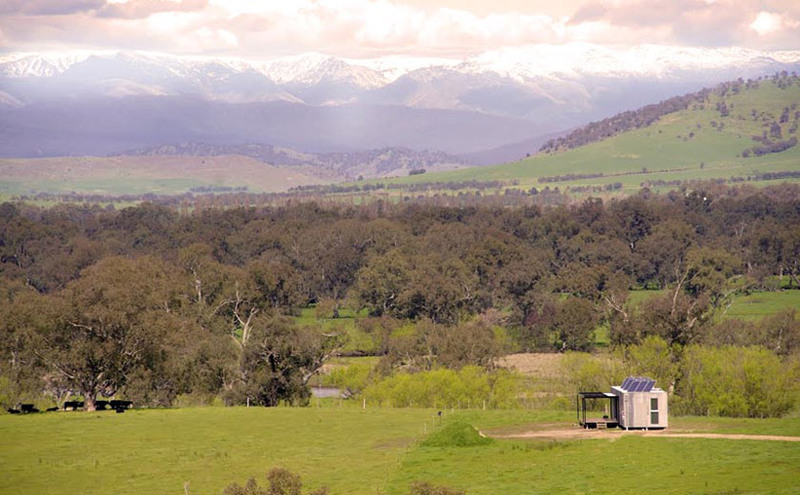 viewed from the passing road, the structure becomes part of the landscape appearing as small vernacular shed, set against the mountainous backdrop. 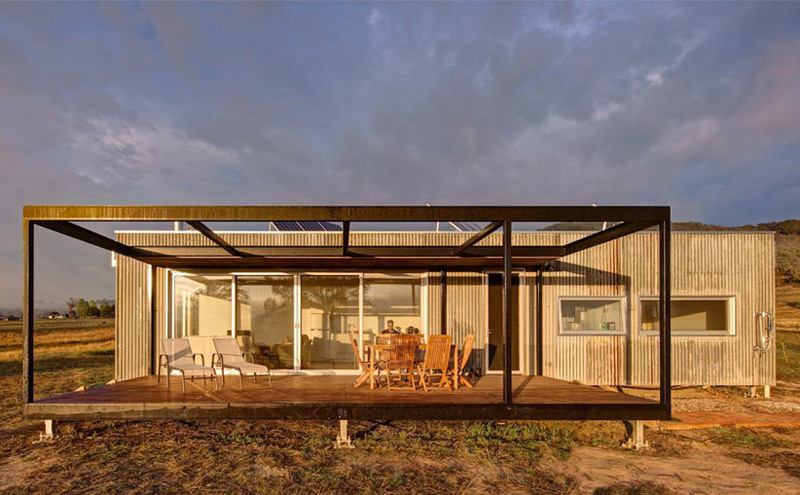 costing $192,000 AUD to construct, the project includes a master bedroom, bathroom and a modest open-plan kitchen, living and dining area. 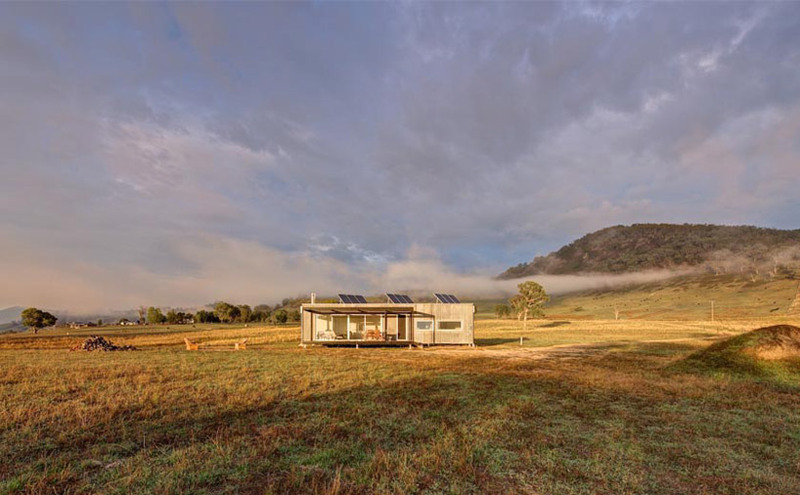 in order to operate independently, solar panels are affixed to the cabin’s roof, while septic and rainwater tanks ensure year-round services and minimal environmental impact. internal space boasts clean lines and contemporary fittings and fixtures, with oak flooring lining the living space. 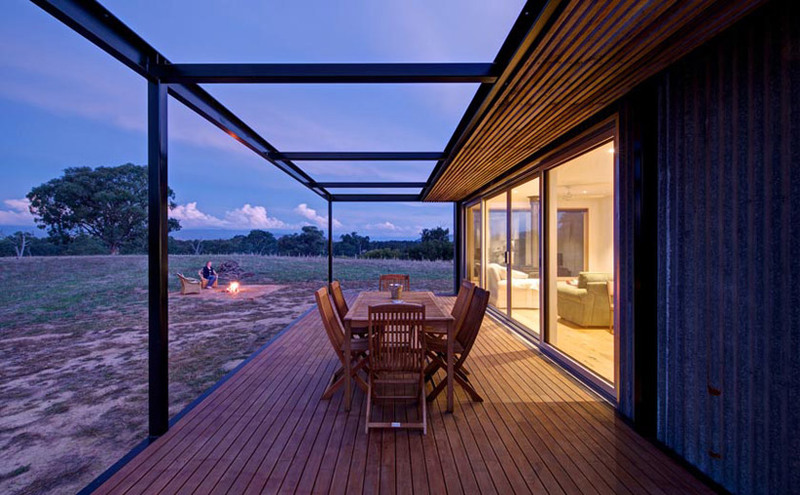 external decking adjoins the property, providing occupants with panoramic views across the undulating terrain.